Oh, I can’t wait until Spring! The sight of beautiful blooming flowers, young light green baby leaves, gorgeous green lawns, and lots of pretty butterflies fluttering by. 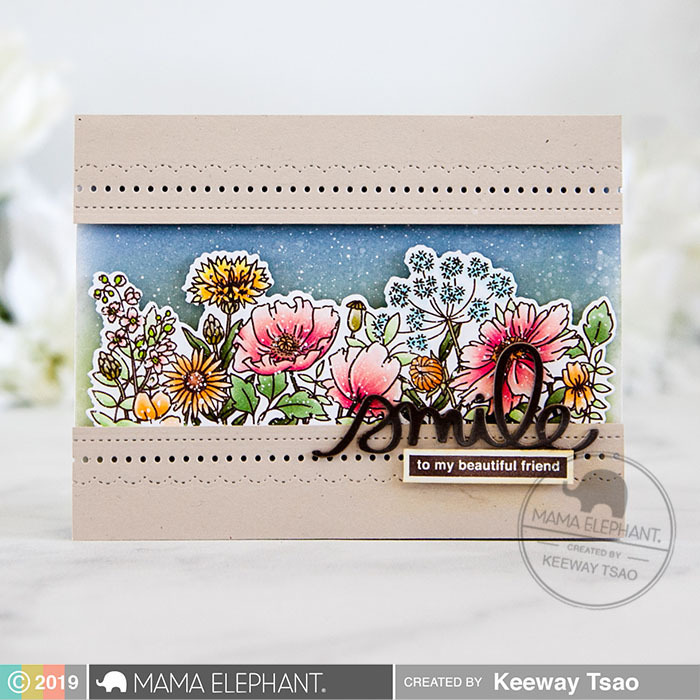 Working with stamps a couple months ahead of the seasons always got me anticipating for what’s coming, and this month I’m introducing to you the Mama Elephant Wild Meadow stamp set illustrated by Anna Ozvald. 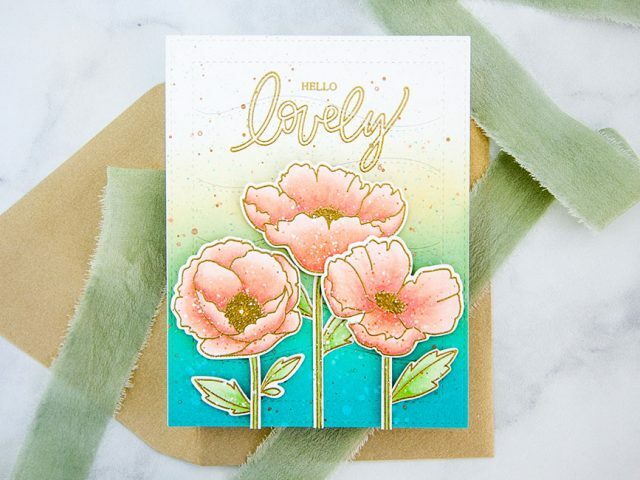 This girl’s amazing with her detailed floral and foliage illustrations! I stamped the image in a dark brown hybrid ink and colored it with copic markers. However, given how detailed this image was, I also brought out a few color pencils to assist me in so tighter areas for further shading, and you can probably see this most clearly on those pink flowers. I also added some detailing with a white gel pen and die cut the image out with the coordinating cuts. 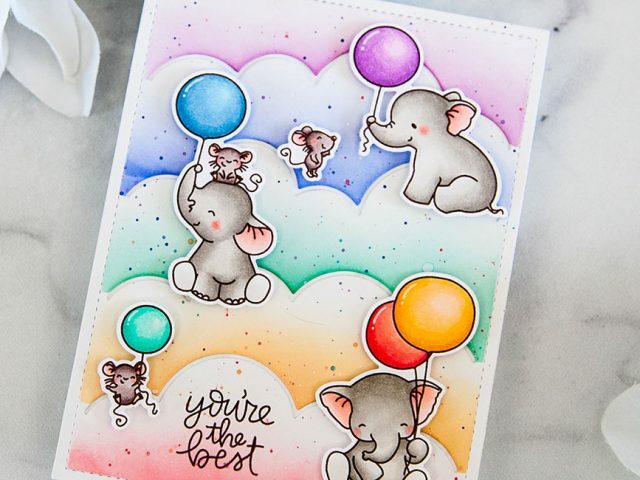 I ink blended a background with Stormy Sky and Bundled Sage distress oxide inks. 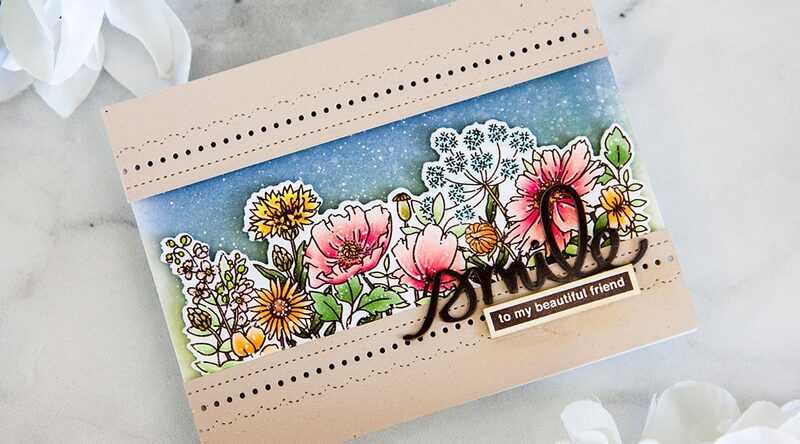 I added some white splatter texture to the background and floral image to add some texture. Next, I framed off the area of the flower by trimming some natural card stock for two slim pieces for the top and bottom. I embellished the edges by adding some Fine Trimmings die cutting to it. 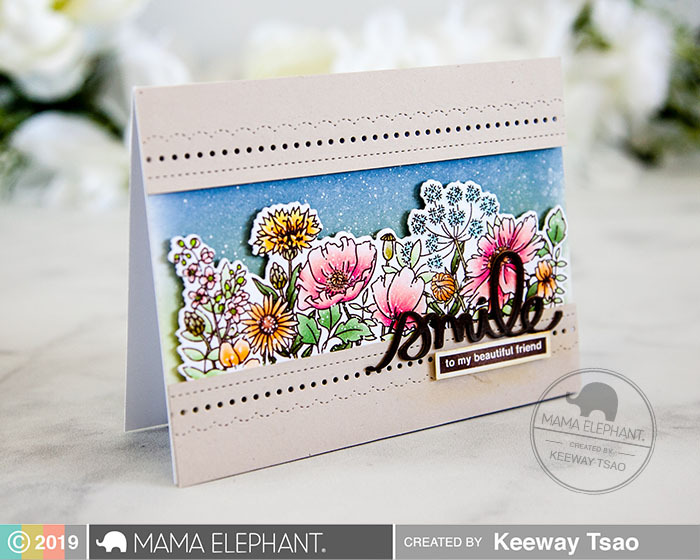 For the sentiment, I use the Smile Script die to die cut the word ‘smile’ out of dark brown card stock 4 times and layered them together. I added this to the bottom right side of the card. 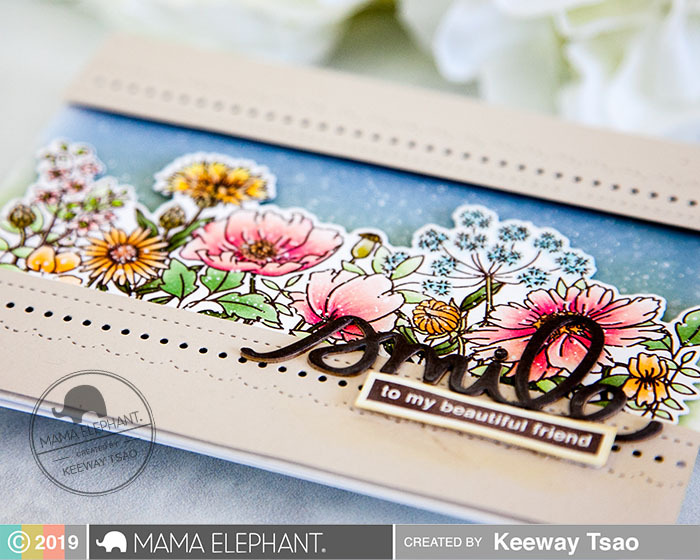 I also stamped the sentiment from the Wild Meadow stamp set in the same dark brown ink and trimmed it to a thin strip. I browned the edges with some ink and added it right below the ‘smile’ with foam tape. And that finishes up my card! Great to hear from you friend! Yes, I’ve definitely heard and happy for my friends over there as they move onto the next chapter of their creative world. Thank you always for all your kind words and hope you a lovely day!